What's The Next Modern Classic To Really Blow Up In Value? It’s been a somewhat bewildering week for cars I grew up admiring. First, an automatic (!!!) but super clean 1994 Toyota Supra Turbo seems poised to crack $70,000 when its Bring a Trailer auction ends tomorrow, and then a humble 2000 Honda Civic Si sells for a stunning $22,700 on the same site—nearly as much as a brand new one. It’s all a bit strange. On one hand, it makes sense that good driver’s cars less infused with tech will command decent prices now that the generation that grew up owning them—or wanting to own them—has some money to spend in 2018. Plus, we’ve gone through the cycle of appreciation on earlier cars, like the NSX and CRX. On the other hand, as Stef noted in her story about the Civic Si, it makes you feel old! As we do every now and then, it’s worth asking which modern classic—and in this case, I mean anything from about the late 1990s to the start of the 2000s—is next to explode in value. Supercars like the Ford GT are pretty obvious, but I bet you can think of some more intriguing choices out there, like that Civic Si. 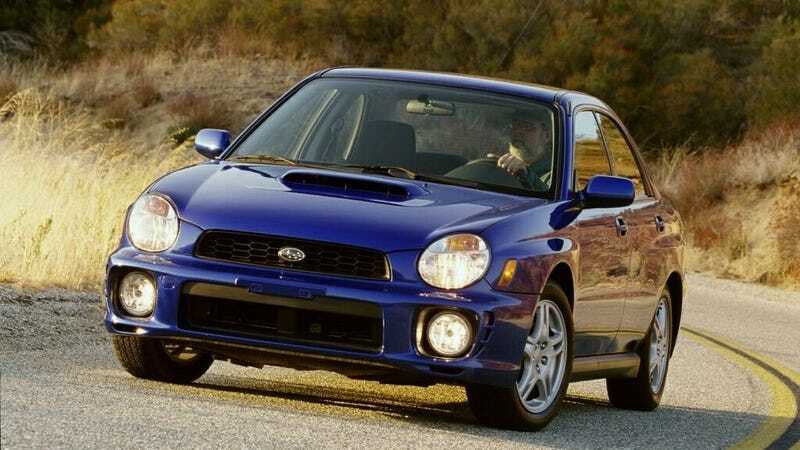 For me, I’m pretty sure clean, unmodified original bugeye Subaru WRX-es—the ones that are left—are poised to blow up in value soon. Though most of those were tuned to death, I bet there’s a few left owned by collectors or grandmas in Colorado who just thought of them as normal Subaru sedans and didn’t drive them like felons. One of those is going to go for like $30,000 or more soon, mark my words. What do you think is next to hit the big time?